The Popish Plot burst onto the English political scene in the fall of 1678. This was a supposed plot by the Jesuits, with the blessing of the Pope, to murder the king, Charles II, and put his Catholic brother and heir, James, the Duke of York, on the throne so he could re-establish Catholicism in England. A majority of the English people believed in the Popish Plot. Roger North, a loyal court supporter, said, "One might have denied Christ with less contest than the Plot". (1) This essay will examine the reasons for the explosion of anti-Catholicism leading up to the Popish Plot in 1678. Several historians, such as John Miller in Popery and Politics in England 1660-1688, Michael Finlayson in Historians, Puritanism and the English Revolution and John Kenyon in The Popish Plot have written that the anti-Catholic fears expressed during the Popish Plot were based on an irrational hysteria because the Catholic community in England was small and peaceful and the Protestant religion was not in any obvious danger in the country. The main problem with these historians' agrument is that they have failed to take into account the impact of European history on political events in England during the 1670's. This paper will attempt to show there was a valid and rational basis behind the anti-Catholic fears expressed by the English people in the 1670's. The strength and persistence of anti-Catholicism at all levels of society was one of the most striking features of seventeenth century England. "No Popery" appealed equally to everyone from the working masses to the richest lord. It was one of the basic underlying and re-occurring themes of seventeenth century England. The intensity of anti-Catholic fears rose and fell according to the political situation of the time. In the late 1660's and during the 1670's, the intensity of anti-Catholicism was on the rise again due to the pro-French policies of Charles II's government, especially its foreign policy. These political events must be viewed against the backdrop of the successful Counter-Reformation in Europe in the seventeenth century and the rise of France as the new Catholic superpower in Europe in the late 1660's under its king, Louis XIV. 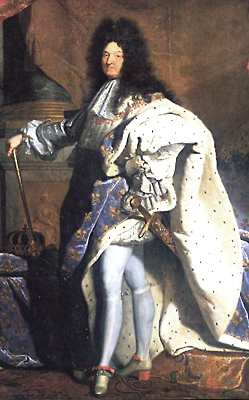 Fears of France were based on the fact that Louis XIV was the prime champion of political absolutism and the leader of the Counter-Reformation in Europe in the 1670's. 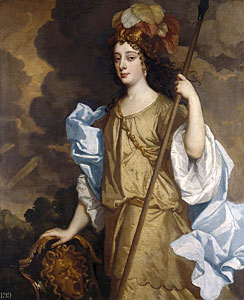 The English believed Louis' aggressive foreign policy that started in 1667 with the invasion of the Spanish Netherlands and continued throughout the 1670's indicated a definite plan to establish a French and Catholic hegemony in Europe. The English people's fears of Catholicism were primarily political in nature. They did not fear the spread of Catholicism in England through the appeal of its religious doctrines. However, the English did fear that a powerful Catholic country such as France would use its impressive military strength to impose Catholicism on England in a manner similar to Spain's 1588 attempted invasion. They assumed Catholic rule would mean the loss of their property, their parliamentary form of government, the rule of law and their religion. French power, Catholicism, political absolutism and the persecution of Protestants were all seen by the English people as interchangeable parts of the same threatening force in Europe in the 1670's. Besides these growing fears about French power, the English were concerned about the increasing influence of Catholics at the Stuart court in the late 1660's and the early 1670's. They worried that court Catholics would use their positions of power to promote pro-Catholic policies which would be detrimental to England's best interests. These worries seemed to be confirmed by the pro-French policies of Charles II's government during the 1670's. To the English, support for pro-French policies was equated with support for Catholicism and absolutism. This led to fears there was a plot to change the religion and form of government in England to that of France. 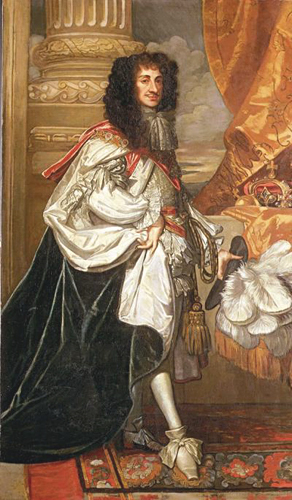 It was the English people's fears of Louis XIV combined with their hostility to the pro-French policies of Charles II's government that led to the rise in anti-Catholicism in England in the 1670's and created the atmosphere that allowed the Popish Plot to be widely believed in 1678. 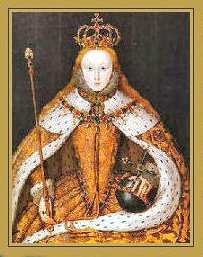 In order to study the rising intensity in anti-Catholicism in England during the 1670's, it is necessary to examine the long-term English anti-Catholic tradition, the position of Catholics in England, the effects of the Counter-Reformation on England, the rise of court Catholicism and the impact of anti-Catholicism on English culture and politics in the 1670's. The most important emphasis in the paper will be on the discussion of the pro-French religious and political policies of Charles II's government in the late 1660's and during the 1670's. The main argument begins with the French invasion of the Spanish Netherlands in 1667 and ends with the beginning of the Popish Plot in 1678. This history of anti-Catholicism has shown that from the time of the Reformation, there was a continuing undercurrent of anti-Catholicism present in England. 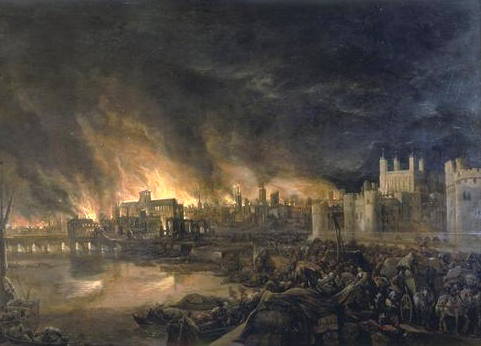 It shows there was a historical basis for the anti-Catholic fears of the Tudor/early Stuart era, while many of the anti-Catholic fears of the mid-seventeenth century such as the belief the Catholics caused the Civil War or the Great Fire had no valid basis. It is my thesis there was a valid and rational basis for the rising intensity in anti-Catholicism in England in the late 1660's and during the 1670's. A study of the concerns and fears of the average English person outside of the narrow confines of the elites at Whitehall and Westminster will show how the public articulated their anxieties about the aggressive actions of Louis XIV and his powerful army in Europe and how they expressed their hostility to the pro-French policies of their own government. The English people's growing fears of Catholicism manifested themselves in the public reaction to the second Dutch War, the Bawdy House Riots, the pope-burning pageants, the cult of Elizabeth I, the political discussions in the coffeehouses and the anti-Catholic literature of the 1670's. By studying these events, many interesting and valuable insights can be gained as to what the general public actually thought about the rising fears of Catholicism in the late 1660's and during the 1670's. In conjunction with these riots, an anonymous petition, The Poor-Whores Petition: To the Most Splendid, Serene, and Eminent Lady of Pleasure, the Countess of Castlemaine, was widely distributed in all the London coffeehouses. 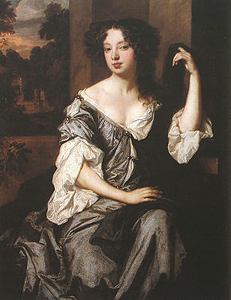 This petition lampooned the rise to prominence at the Stuart court of Charles' main mistress in the 1660's, Barbara Villiers, the Countess of Castlemaine. She was attacked in particular because of her Catholicism. In the petition, the poor-whores asked for Castlemaine's protection, saying " 'they promised to contribute to her ladyship as our sisters do at Rome and Venice to his Holiness, the Pope.' "(35) This is a sarcastic reference to the fact the Pope made money from a tax on Italian brothels. It also focused attention on the growing court Catholicism of the time, which was beginning to greatly worry many of the English people. (36) These events in 1668, along with the crowd's reaction to the second Dutch War in 1667, were the first real evidence since the Restoration of popular opposition to the court and open hostility to its pro-Catholic sympathies. These pope-burning pageants are interesting because of the insight they offer into the psychology of late seventeenth century popular politics. The pageants showed the heightened fears of Catholicism in England in the 1670's aroused by the impressive military strength of France in Europe at this time and the pro-French policies of Charles II's government. They were evidence of the latent anti-Catholicism in England that emerged to dominate the national political scene, whenever there was a political crisis in the country as there was in the 1670's. One of the more popular books of the 1670's that expressed the English people's fears about Catholicism was Andrew Marvell's 1678 An Account of the Growth of Popery and Arbitrary Government. Marvell was a well-known poet and Whig member of Parliament from Hull. His main thesis, as stated in his opening sentence, was " 'There has now for divers years a design been carried on to change the lawful government of England into absolute tyranny and to convert the established church into downright Popery.' "(51) In his book, Marvell attacked the policies of the Earl of Danby, Charles' chief minister from 1674-78. He denounced Danby for his arbitrary tendencies in government, saying, wrongly, his political policies were a continuation of the pro-Catholic policies of the early 1670's in a new disguise. Danby's Anglicanism was also attacked as being nothing more than revived Laudism, which from Marvell's point of view was only one step removed from Catholicism. These arguments showed the strength and diversity of the anti-Catholic tradition in England. It allowed two very different lines of political policy to both be interpreted in terms of popery and arbitrary government. (52) Marvell's book was important because it reflected what the English people already thought; that there were plans to change the religion and government of England to that of France. As the growing fears of Catholicism expressed by the English public in the late 1660's and during the 1670's were caused by the pro-French policies of Charles II's government, it is now necessary to examine these policies in detail. For this reason, there will be a discussion of the 1668 Triple Alliance, the 1670 Treaty of Dover with its secret Catholic clause, the 1672 Declaration of Indulgence, the 1672-74 Anglo-Dutch war, the 1673 Test Act, James' 1673 public declaration of Catholicism along with his unpopular marriage to the Catholic Mary of Modena and a discussion of the breakdown in trust between the House of Commons and the government as seen in the Parliamentary debates of the 1670's. An examination of the government's policies, especially its foreign policy, will show the fears expressed by the English people had a valid basis in fact. It was the pro-French policies pursued by the government, despite the English people's great fear of France, that led to the rise of anti-Catholicism in the 1670's and set the stage for the belief in the Popish Plot in 1678. The above gossip showed the basic outline of the secret treaty was already being discussed in public. Though the terms of the secret Treaty of Dover never became public knowledge, which was most fortunate for Charles as he could have met the same fate as his father, there were enough rumours circulating to create fears in the minds of the English people that there were hidden plans by the Stuart court to change the religion and form of government in England to that of France. It was these fears that led to the outbreak of anti-Catholicism in the 1670's in England. (75) The secret treaty of Dover showed the fears of the English people about Charles' foreign policy were valid. When Parliament met in the fall of 1670, Charles was well aware of the public hostility to France. This is why no mention was made of the French alliance or the coming war against the Dutch. In fact, Charles used French aggression in Europe to his advantage in order to obtain money from Parliament for the support of the popular Triple Alliance. He intended to use this money to prepare for the war against the Dutch. Also, in the fall of 1670, a petition against the growth of popery in England was passed. This was a rather ominous sign for Charles who had just negotiated a secret treaty with Catholic France. Previously, the intolerance of Parliament had been directed against the Protestant Dissenters, who were seen as disloyal republicans, rather than the Catholics. Things, however, were to change with the increasing fears of Catholicism caused by the disturbing gossip circulating about the secret Treaty of Dover, the growing prominence of Catholics at court and by rumours that James, the heir to the throne, had already converted to Catholicism. Parliament prorogued in April, 1671, and did not meet again until February, 1673. (76) Much would happen in the coming two years that would have a great impact on English history and on the Stuart dynasty. The third Dutch war started on March 17, 1672. It immediately began to take on religious overtones that were absent from the first two wars, which were seen primarily as trade wars. The Declaration of Indulgence announced on the eve of the war that gave religious toleration to both Catholics and Dissenters was instantly unpopular. It caused the war and the alliance with France to be looked upon with much mistrust. The declaration was seen as nothing more than an attempt to introduce Catholicism into England under the guise of religious toleration. (77) In his memoirs, John Reresby, a strong Anglican and loyal court supporter, worried about the dire effect of the declaration on the Church of England. He wrote, "The King did issue out his proclamation for indulgence to tender concienys. This did make a great noise and was the greatest blow that ever was given, since the King's restoration, to the Church of England. "(78) If Reresby could say this about the Declaration, it is not difficult to imagine what people who were less charitably inclined to the government might say about it. 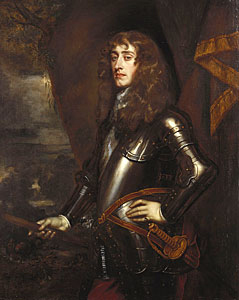 Charles' religious and political policies aroused many suspicions, even among his supporters such as Reresby, specifically because of the perception of his lukewarm adherence to Protestantism. Government intelligence reports on the war showed the increasing English hostility to the French and their growing sympathy for the Dutch. The agents wrote, "the French are generally hated to the devil by all the English"(83) and "the people talk discontentedly about the success of the last battle and make horrid reflections on some great people and I assure you they do not spare the French. "(84) One agent, writing from Yarmouth, lamented to Secretary Williamson, "we are so dutchified here that a Dutch man cannot be more dejected than our people are for the generally sad condition we understand the Hollander to be in. "(85) Even Reresby complained about the conduct of the French in the war. He wrote, "This summer, the French joined us at sea and betrayed us at the same time, for in the sea fight upon the 18 of May, the French squadrons stood off and left us and the Dutch to dispute the day. "(86) In the summer of 1672, because of the introduction of the religious factor, the behavior of the French in the naval battles, the defeat of the Dutch republicans, and the increasing fears of the political and military might of France, the war aroused sympathy and respect for the Dutch and hostility for the French and the court faction that supported the war. The declaration coming out about this time for laying aside all the penal laws in matters of religion. The second war being made in conjunction with France, there being no sufficient visible reason to provoke it. The departing from the Triple League. The connivance at the Jesuits and priests, who abundantly swarm in the kingdom and even about the court. The conference between the king and his sister, Madame, the Duchess of Orleans, at Dover, the cause of the meeting and the matter there debated and resolved on, being kept very secret. The employing of several known or suspected papists in great places of trust, especially Lord Clifford, made High Treasurer. On March 28, 1673, a Test Act became law at the same time as the new supply bill was passed. It said "all persons who shall refuse to take both the oath of allegiance and supremacy and to receive the sacrament according to the rites of the Church of England shall be incapable of all public employment, military as well as civil,"(91) The Test Act was primarily political in nature. It was directed against court Catholics at the centre of political power rather than the general English Catholic population. The members of Parliament feared the presence of so many Catholics in high positions at the Stuart court was merely the most visible element of a hidden design by Charles' government to introduce Catholicism and French style absolutism into England. There was some truth in these fears. Government ministers, such as Clifford and Lord Arlington, and courtiers, such as the Earl of Arundell and Richard Bellings, were prominent court Catholics who were all directly involved in the negotiations leading to the secret Treaty of Dover. James, the heir to the throne, supported these negotiations, though he did not take any direct part in them. (92) The fact that these court Catholics were using their positions of power to promote pro-Catholic policies shows the fears of the English people were justified. Anti-Catholicism was one of the main re-occurring themes of seventeenth century England. The intensity of anti-Catholicism in England rose and fell according to the political situation of the time. In the late 1660's and during the 1670's, anti-Catholicism in England was on the rise again due to the pro-French policies of Charles II's government, especially the government's foreign policy. These events in England must be seen against the backdrop of the successful Counter-Reformation in Europe in the seventeenth century and the rise of France as a new and aggressive Catholic superpower in the late 1660's under its king, Louis XIV. Anti-Catholicism in England was mainly political in nature. It was the spectre of international Catholicism as personified by Louis XIV rather than fears of the indigenous Catholic population that worried the English people. In Europe during the seventeenth century, Protestantism had been reduced from 50% to 20% of the population through Catholic armed aggression. The English people feared the impressive display of French military strength in Europe in the late 1660's and during the 1670's was a disturbing continuation of this trend and indicated a definite plan to establish a French and Catholic hegemony in Europe. This led to English fears of a French invasion of their country with the resulting loss of their property, their laws, their parliamentary form of government and their religion. Besides these fears about France, the English also worried about the increasing prominence of Catholics in influential positions at the Stuart court and the simultaneous appearance of the pro-French policies of Charles II's government in the early 1670's. In the minds of the English people, French power, Catholicism, political absolutism and the persecution of Protestants were all seen to be interchangeable parts of the same threatening force in Europe in the 1670's. It was the combination of the breaking of the popular Triple Alliance, the many rumours about the secret Treaty of Dover, the growing prominence of Catholics in influential positions at the Stuart court, the Declaration of Indulgence, the Anglo-French war against the Dutch, James' public declaration of his Catholicism, his unpopular marriage to the Catholic Mary of Modena and Louis' aggressive foreign policy in Europe that fuelled the rising intensity in anti-Catholicism in England in the late 1660's and during the 1670's. These events, plus the great distrust of the government's policy intentions that continued throughout the 1670's, led the English to believe there definitely was a plan to change the religion and form of government of England to that of France. These were the fears the English people were reacting to in 1678 rather than the specific story of Titus Oates. There was no Popish Plot in 1678, but the government's actions gave the people good reason to believe there was one. 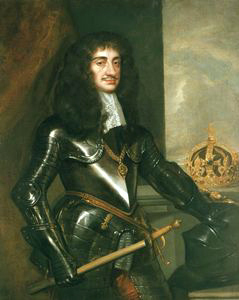 Charles II, with his pro-French sympathies, had failed to express the deep anxieties the English people felt about the Catholic threat in Europe in the 1670's. It was the English people's great fear of France combined with the pro-French policies of Charles II's government, especially its foreign policy, that led to the rise of anti-Catholicism in England in the 1670's and set the scene for the widespread belief in the Popish Plot in 1678. 1. Tony Palmer, Charles II Portrait of an Age (London: Cassell 1979), p.205. 2. S. Bindoff, Tudor England (Harmondsworth: Penguin Books 1964), pp.93-95, 150, 165-67, 183-86, David Cressey, Bonfires and Bells: National Memory and the Protestant Calendar in Elizabethan and Stuart England (London: Weidenfeld and Nicolson 1989), pp.121-25 and John Miller, Popery and Politics (Cambridge: Cambridge University Press 1973), pp.78-80. 3. Conrad Russell, Parliaments and English Politics 1621-29 (Oxford: Clarendon Press 1979), pp.88-89 and Cressey, Bonfires, p.150. 4. This association between Catholicism and absolutism began in the 1620's and grew during the 1630's when there was a sharp rise in the power of Catholic absolutist monarchies and a corresponding decline in the power of legislative institutions in Europe. A good example can be seen in France where the king assumed absolute authority after the abolition of the powers of its legislative branch, the Estates General, in 1628. 5. Caroline Hibbard, Charles I and the Popish Plot (Chapel Hill: The University of North Carolina Press 1983) pp. 1-25, 227-238 and Robin Clifton, "Fear of Popery" in The Origin of the Civil War Ed. Conrad Russell (London: Macmillan 1973), pp.158-160. 6. Ian Thackeray, "Zion Undermined: the Protestant belief in a Popish Plot during the English Interregnum" in History Workshop No.18 (Autumn 1984), pp.33-35. 9. Calendar of State Papers Domestic, September 25, 1666. 11. John Kenyon, The Popish Plot (Harmondsworth: Penguin Books 1972), pp.28-32 and Miller, Popery, pp.9-13. 12. Kenyon, Popish, p.5 and Miller, Popery, pp.52-56 and J. A. Williams, "English Catholicism under Charles II: The Legal Position" in Recusant History VII No. 3 (October 1963), pp.124-129. 13. Williams, "English Catholicism," p.125. 14. Caroline Hibbard, "Early Stuart Catholicism: Revisions and Re:Revisions" in Journal of Modern History 52 No. 1 (March, 1980), pp.3 -4, 19-20 and Kenyon, Popish, p.6. 15. Kenyon, Popish, pp.6-8, Miller, Popery, pp.85-89 and Clifton, "Fear of Popery", pp.164-65. 16. Kenyon, Popish, pp.30-35 and Miller, Popery, pp.14-15. 17. J.F. Bosher, "The Franco-Catholic Danger, 1660- 1715" in History Volume 79 no. 255 (February, 1994), pp.6-8. 18. Bosher, "Franco-Catholic," pp.8, 11-13, 15, 19, 21, 24. 19. K.D. Haley, "No Popery" in the Reign of Charles II" in Britain and the Netherlands ed. J.S. Bromley and E.H. Kossman (The Hague: Martinus Nyhoff 1975) Volume 5, pp.107-08. An interesting point is that in Holland, 35-40% of its population was Catholic. However, it did not have the same anti-Catholic tradition as England did because the Protestantism of its leaders was never questioned. 21. Haley, "No Popery," pp.108-110. 22. 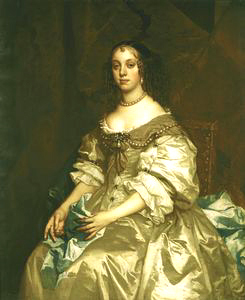 Henrietta came to England in May, 1670, as part of the ceremonies for the signing of the secret Treaty of Dover. This English alliance with France was to become very unpopular with the English public in the 1670's. This will be discussed later in the paper. 23. John Evelyn, The Diary of John Evelyn Ed. William Bray (London: J.M. Dent and Sons 1920), March 1, 1671. John Evelyn was a Restoration writer, who was a court supporter and a friend of Charles II. He knew most of the influential people of his time. 24. Ibid, November 4, 1670. 25. Haley, "No Popery," pp.110-111. 26. Evelyn, Diary, March 12, 1672. 27. Haley, "No Popery," pp.110-111. 28. Evelyn, Diary, March 12, 1672. 29. Haley, "No Popery", p.110. 31. Calendar of State Papers Domestic, June 14, 1667. 32. Samuel Pepys, The Diary of Samuel Pepys editors, Robert Latham and William Matthews (Berkley: University of California Press 1974) June 14, 1667. Samuel Pepys is well known today for the diaries he kept from 1660-69 when unfortunately he stopped because of bad eyesight. His diary is full of interesting insights into Restoration life. In his career, he was a naval administrator, one the first of a breed of efficient bureaucrats that were emerging at this time. Dictionary of National Biography (Oxford: Oxford University Press 1993) Volume XV, pp.806-7. 33. Pepys, Diary, March 26, 1668. 34. Tim Harris, "The Bawdy House Riots of 1668" in The Historical Journal 29(3) (1986), pp.538-41, 546-48. 35. Harris, "Bawdy House," p.541. 37. Cressey, Bonfires, pp. 189-190. 38. The Burning of the Whore of Babylon as it was acted with great applause in Poultrey, London on Wednesday night (being the fifth of November last) at six of the clock. London, 1673. 44. Steven Pincus, "Coffee Politicians Does Create": Coffeehouses and Restoration Political Culture" in Journal of Modern History 67 (4) (December, 1995), pp.808, 811-14, and John Miller, "Public Opinion in Charles II's England" in History Volume 80 no. 260 (October, 1995), pp.360-62. 45. Pincus, "Coffee," p.809. For a general discussion of coffeehouses, see pp.808-09, 819, 821-22 and Miller, Public Opinion, pp.364-67. The government had tried unsuccessfully to suppress the coffeehouses at the end of 1675 because of the people's criticism of government policy. 47. Letters addressed from London to Joseph Williamson Ed. W.D. Christie (London Camden Society 1874) Volume II, November 10, 1673. Joseph Williamson was a secretary of State in the early 1670's. One of his responsibilities was collecting intelligence for the government. 50. Miller, Popery, pp.72-75 and Robin Clifton, "The Popular Fear of Catholics in England 1640-60" in Rebellion, Popular Protest and Social Change in Early Modern Europe ed. Paul Slack (Past and Present Publications, Cambridge: Cambridge University Press 1984 ), pp.149-50 and Michael G. Finalyson, Historians, Puritanism and the English Revolution: the Religious Factor in English Politics before and after the Interregnum (Toronto: University of Toronto Press, 1983) pp.124-25. 52. Miller, Popery, pp.148-52 and Ogg, England, pp.371-72. 53. Cressey, Bonfires, pp.175-77 and Miller, Politics pp. 133, 152. 54. Mark Knights, Politics and Opinion in Crises 1678-1681. (Cambridge: Cambridge University 1994), p.166. 57. Tim Harris, London Crowds in the reign of Charles II. ( Cambridge: Cambridge University Press 1987), p. 99. 58. Miller, Politics, p. 133. 59. Cressey, Bonfires, pp. 175-77. 60. For a discussion of the Triple Alliance, see David Ogg, England in the Reign of Charles II Second Edition (Oxford: Oxford University Press 1984), pp.332-34 and J.R. Jones, Charles II Royal Politician (London: Allen and Unwin 1987), pp.86-87. 61. From her letters, Henrietta seemed to have been an intelligent woman with a good understanding of the politics of her time. She believed her brother was sincere in his desire to become a Catholic and thought the Treaty of Dover was in England's best interests. Charles had a high opinion of Henrietta. Unfortunately, she died shortly after her return to France in June, 1670. Cyril Hartman, Charles and Madame (London: Heinemann 1934), pp.339-40. 62. For a discussion of the Treaty of Dover, see John Miller, Charles II (London: Weidenfeld and Nicolson 1991), pp.142-44 and Ronald Hutton, Charles the Second (Oxford: Clarendon Press 1989), pp.271 -72, 363-64, Also, Ogg, England, p.344 and Hartmann, Charles, pp.233- 35. 63. Excerpt from the Treaty of Dover in Ogg, England, p.344. 64. The only reason the secret treaty is known is because Clifford, the Lord Treasurer in the early 1670's, took a copy with him on his retirement from office in June, 1673. It was found among his papers at his estate. Ronald Hutton, "The Making of the secret Treaty of Dover of 1668-70" in Historical Journal 29 (2) (1986), p.298. 66. Gilbert Burnet, History of My Own Times ed. Martin Joseph Routh (Hildesheim: Georg Olms Verlagbuchhandlung 1969), Volume I, pp.501-02. Gilbert Burnet was an Anglican bishop who wrote a history of Restoration England and the later reigns of William III and Anne. He was a Whig supporter and favoured the exclusion of James from the throne. 67. Miller, Charles, pp.160-62 and Ogg, England, pp.347-350. 68. Miller, Charles, pp.161-63, 166, 177 and Robert M. Bliss Restoration England 1660-1688 (London, Meuthen 1985), p.30 and Ogg, England, p.347. 69. Montagu did not participate in the negotiations for the Treaty of Dover. 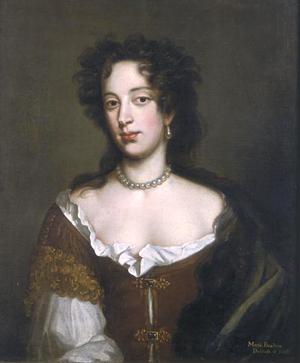 Henrietta informed him of the treaty and the coming Dutch war on June 28, 1670, on her deathbed. Hartmann, Charles, p.319. 70. Von Beuningen was an influential politician in Amsterdam. He was the former Dutch ambassador to France in the late 1660's. He greatly feared the growing power of Louis XIV in Europe and was a strong supporter of the Triple Alliance. While in London in 1670, Von Beuingen noted public opinion was becoming increasingly anti-French. In 1674, he returned to London as the new Dutch ambassador. K.D. Haley, William of Orange and the English Opposition 1672- 74 (Westport: Greenwood Press 1975), pp.93-94, 207. 71. Charles recalled Temple to England in September, 1670. He was replaced by the anti-Dutch Downing who was sent deliberately to pick a fight with the Dutch as a pretext for the start of the third Dutch War in 1671. Temple, unlike Charles, was sincere in his belief in the Triple Alliance. As he did not agree with Charles' pro-French policies, he retired from politics to tend to his estate. William Temple Dictionary of National Biography Volume XIX, p.524. 72. In April, 1669, the Swedish ambassador to France warned Dewitt that French ministers were trying to persuade Sweden to drop out of the Triple Alliance and had told him the English would definitely do so. The Swedish ambassador also told Dewitt he had seen letters in which Colbert, the French ambassador to England, discussed the payment of money to the English government. In the fall of 1670, the Dutch charge d' affaires in Paris, who was well connected, was given a copy of the second Treaty of Dover by a high placed French official. He sent this to Dewitt, who then sent a letter to Von Beuningen in London asking him to investigate this matter. However, there is no evidence Dewitt know of the Catholic clause, except through unsubstantiated rumour. Herbert Rowen, John Dewitt (Cambridge: Cambridge University Press 1986) pp.158-160, 165-168. 73. For a discussion of the rumours associated with the treaty, see Keith Fielding, British Foreign Policy 1660-1672 Second Edition (London: Frank Cass and Company 1968), pp.315-16, Miller, Charles, p.178 and Hartmann, Charles, p.318. 74. Pepys, Diary, April 28, 1669. 75. Hutton, Treaty, pp.310-313, and Barry Coward, The Stuart Age: A History of England 1603-1714 Second Edition (London, Longman 1994), pp.306-307 and Miller, Charles, pp.161-163. 76. For a discussion, see Ogg, England, pp.350-51 and Miller, Charles, pp.182-86. 77. For a discussion, see Ogg, England, pp.354-56 and Jones, Charles, pp.96-97 and Hutton, Charles, pp.284-85. 78. John Reresby, Memoirs of Sir John Reresby Ed. Andrew Browning (Glasgow: Jackson, Son and Company 1936), p.84. John Reresby was a M.P. from Yorkshire. He was a court supporter and a member of the future Tory Party. He voted against all the exclusion bills in Parliament. Basil Duke Henning, The History of Parliament. The House of Commons 1660-90 (London: House of Parliament Trust 1983) Volume III, pp.321-22. 79. For a discussion of the Dutch war, see Miller, Charles, pp.193-95 and Coward, Stuart Age, p.266 and Ogg, England, pp.362-64 and Hutton, Charles, p.289. 80. Calendar of State Papers Domestic, June 22, 1672. 81. For a discussion of the hostility to the French in England, see Steven Pincus, "From Butterboxes to Wooden Shoes: The Shift in English Popular Sentiment from anti-Dutch to anti-French in the 1670's" in The Historical Journal 38(2) (1995), pp.348- 49, 351 and J.R. Jones, Court and Country: England 1658-1714 (London: Edward Arnold 1978), p.178 and Miller, Charles, pp.191-93. 82. Calendar of State Papers Venetian, May 6, 1672. 84. Calendar of State Papers Domestic, June 5, 1672. 87. Excerpt from the Diary of Edward Dering, 1672 in John Miller, Restoration England: The Reign of Charles II (London: Longman 1985) Document 29, p.85. Edward Dering was a M.P. from Kent. He was a court supporter like Reresby. He voted against the first exclusion bill and in favour of the other two. Henning, History of Parliament, Volume II, pp.208- 10. 88. Cobbett's Parliamentary History of England ed. William Cobbett (London 1808) Volume IV February 14, 1673, p.532. 89. Coward, Stuart Age, p.316. 90. Calendar of State Papers Domestic, March 8, 1673. 91. Cobbett, Debates, February 28, 1673, p.556. 92. Miller, Charles, pp.200-3, Ogg, England, pp.366-68 and Haley, "No Popery," pp.110-11. 93. Pierre du Moulin was the person responsible for both the writing and the distribution of Dutch propaganda in England and also for the organization of a Dutch spy network in the country from 1672-74. He was a former client of Arlington, the Secretary of State, and collected political intelligence for him from 1664-69. While working at the English embassy in Paris in 1669, he had his suspicions that changes in English foreign policy were in the making. To prevent him finding out anything about the negotiations with Louis, he was recalled to London. This was the end of his diplomatic career. After the outbreak of war in 1672, he was discovered spying for the Dutch in London and managed to escape to Holland. By the summer of 1672, he had become William's private secretary. It is thought that Von Beuningen, whom Moulin had met when they both worked in Paris in the late 1660's, introduced him to William. Moulin's writing ability and his English intelligence network were of invaluable assistance to William. He himself boasted both were worth 40,000 men to the States General. Moulin died at The Hague from consumption in 1676. Haley, William, pp.14-20, 23-29, 52. 94. Miller, Charles, p.209 and Haley, William, pp.97-101, 108-111. 96. Calendar of State Papers Domestic, June 15, 1673. 97. Ogg, England, p.370, Miller, Politics, p.52, Hutton, Charles, p.301. 98. Evelyn, Diary, August 19, 1673. 99. Miller, Politics, p.58, Haley, William, p.61. 101. Martell was the only French commander who engaged the Dutch in battle. He wrote an account of the Battle of Texel, defending his own actions and attacking the actions of the French commander, Estrees, which was suppressed by Louis. However, copies of the book were smuggled out of France into England. Martell was imprisoned in the Bastille for writing his account of the battle. Ogg, England, p.376. 102. Williamson, Letters, September 1, 1673. 103. Ogg, England, pp.378-79, Miller, Restoration England, p.62, Miller, Charles, p.210. 104. Williamson, Letters, November 5, 1673. 105. Calendar of State Papers Venetian, October 10, 1673. 107. Anchitell Grey, Debates of the House of Commons from the year 1667 to the year 1694. (London, 1673) October 31, 1673, p.198. 108. Ibid, October 31, 1673, p.200. 109. Ibid, October 31, 1673, p.198. 110. Ibid, October 31, 1673, p.200. 111. Ibid, October 31, 1673, p.203. 112. Ibid, October 31, 1673, p.214. William Russell, William Coventry, Lord Cavendish, Henry Powle and Sir Thomas Meres were members of the country opposition party who opposed the pro-French political and religious policies of Charles II. 113. Ibid, October 31, 1673, pp.214- 15. 115. Calendarof State Papers Venetian, November 28, 1673. 116. Calendar of State Papers Domestic, December 1, 1673. 117. Miller, Charles, p.215. Historians such as Miller, Ogg and Hutton have noted Charles stumbled in his speech when he said there were no secret religious clauses in the French treaty. 118. The letters, speeches and declarations of Charles II Ed. Sir Arthur Bryant (London: Cassell and Company 1968), p.274. 121. Ogg, England, p.387, Haley, William, p.166. 123. Shaftesbury and Buckingham joined the Parliamentary opposition in the fall of 1673, Clifford resigned his position rather than take the Test Act, committing suicide in August 1673, Arlington took a non- political household job and Lauderdale returned to Scotland. 124. Hutton, Charles, pp.316-17, Miller, Charles, pp.174, 219. 125. Jones, Charles, pp.109-10, 124 and Coward, Stuart Age, pp.317-318 and Miller, Charles, pp.224-25, 266. 128. Burnet, History, Volume II, p.124. 129. Coward, Stuart Age, p.324, Miller, Charles, p.269 and Ogg, England, p.546. 132. Jones, Charles, pp.126-29 and Ogg, England, pp.549-553. 133. Ogg, England, pp. 561-64 and Hutton, Charles, pp. 359-62. 134. Ibid, pp.561-64 and Ibid, pp.359-62. Burnet, Gilbert. History of His Own Time. Martin Joseph Routh, editor. (1833) Hildesheim: Georg Olms Verlagsbuchhandlung, 1969. The Burning of the Whore of Babylon as it Was Acted with Great Applause in Poultrey, London on Wednesday night (being the 5th of November last) at six of the clock. London, 1673. Byrant, Arthur, editor. The letters, speeches and declarations of Charles II. London: Cassell and Company, 1968. Christie, W.D., editor. Letters Addressed from London to Joseph Williamson. London: Camden Society, 1874. Calendar of State Papers Domestic in the reign of Charles II. Calendar of State Papers Venetian 1202-1675. Cobbett's Parliamentary History. William Cobbett, editor. London, 1808. Evelyn, John. The Diary of John Evelyn. Ernest Rhys, editor. London: J.M. Dent and Sons, 1920. Grey, Anchitell. Debates of the House of Commons from the year 1667 to the year 1694. London, 1763. Hartmann, Cyril Hughes. Charles II and Madame. London: William Heinemann, 1934. Kenyon, J.P., editor. The Stuart Constitution 1603-1688. Cambridge: Cambridge University Press, 1966. Pepys, Samuel. The Diary of Samuel Pepys. Robert Latham and William Matthews, editors. Berkeley: University of California Press, 1974. Reresby, John. Memoirs of Sir John Reresby. Andrew Browning, editor. Glasgow: Jackson, Son and Company, 1936. Bindoff, S. Tudor England. Harmondsworth: Penguin Books, 1964. Bliss, Robert. Restoration England 1660-1688. London: Meuthen, 1985. Bosher, J.F. "The Franco-Catholic Danger, 1660-1715." History, Volume 79 No. 255 (February 1994). Clifton, Robin. "Fear of Popery," in The Origins of the Civil War. Conrad Russell, editor. London: Macmillan, 1973. Clifton, Robin. "The Popular Fear of Catholics during the English Revolution," in Rebellion, Popular Protest and the Social Order in Early Modern England. Paul Slack, editor. Cambridge: Cambridge University Press, 1984. Coward, Barry. The Stuart Age. London: Longman, 1994. Cressey, David. Bonfires and Bells: National Memory and the Protestant Calendar in Elizabethan and Stuart England. London: Weidenfeld and Nicolson, 1989. Dictionary of National Biography. Sir Leslie Stephen and Sir Sidney Lee, editors. Oxford: Oxford University Press, 1993. Fielding, Keith. British Foreign Policy 1660-1672. London: Frank Cass and Company, 1968. Finlayson, Michael. Historians, Puritanism, and the English Revolution: the Religious factor in English politics before and after the Interregnum. Toronto: University of Toronto Press, 1983. Furley, O.W. "The Pope-Burning Processions of the Late Seventeenth Century." History, Volume XLIX No. 44 1959. Haley, K.D. Politics in the Reign of Charles II. London: Basil Blackwell, 1985. Haley, K.D. "No Popery in the Reign of Charles II," in Britain and the Netherlands. Volume V J.S. Bromley and E.H. Kossman, editors. The Hague: Martinus Nyhoff, 1975. Haley, K.D. William of Orange and the English Opposition 1672-74. Westport: Greenwood Press, 1975. Harris, Tim. "The Bawdy House Riots of 1688." The Historical Journal, 29, 3 (1986). Harris, Tim. London Crowds in the Reign of Charles II. Cambridge: Cambridge University Press, 1987. Henning, Basil Duke. The History of Parliament: The House of Commons 1660-1690. London: The House of Parliament Trust, 1983. Hibbard, Caroline. Charles I and the Popish Plot. Chapel Hill: The University of North Carolina Press, 1983. Hibbard, Caroline. "Early Stuart Catholicism: Revisions and Re:Revisions." Journal of Modern History, (52) No 1 (March 1980). Hutton, Ronald. Charles the Second: King of England, Scotland and Ireland. Oxford: Clarendon Press, 1989. Hutton, Ronald. "The Making of the Secret Treaty of Dover." The Historical Journal, 29, 2 (1986). Jones, J.R. Charles II. London: Allen and Unwin, 1987. Jones, J.R. Country and Court. London: Edward Arnold, 1978. Kenyon, John. The Popish Plot. Harmondsworth: Penguin Books, 1972. Knights, Mark. Politics and Opinion in Crises, 1678-81. Cambridge: Cambridge University Press, 1994. Miller, John. Charles II. London: Weidenfeld and Nicolson, 1991. Miller, John. "Charles II's Foreign Policy." Royal Stuart Papers, London, (1990). Miller, John. Popery and Politics 1660-1688. Cambridge: Cambridge University Press, 1973. Miller, John. "Public Opinion in Charles II's England." History, Volume 80 No. 260 (October 1995). Miller, John. Restoration England: The Reign of Charles II. London: Longman, 1985. Ogg, David. England in the Reign of Charles II. Second Edition. Oxford: Oxford University Press, 1984. Palmer, Tony. 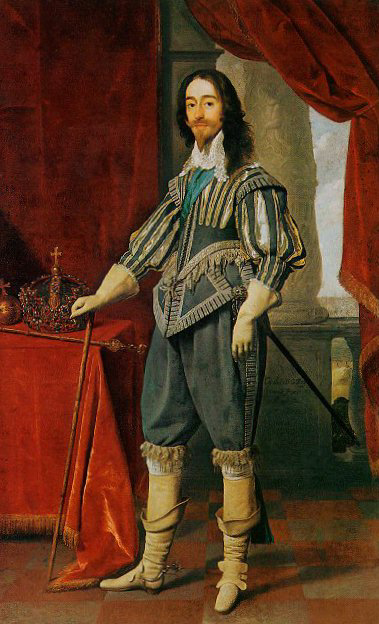 Charles II Portrait of an Age. London: Cassell, 1979. Pincus, Steven. "Coffee Politicians Does Create": Coffeehouses and Restoration Political Culture." Journal of Modern History, 67(4) (December 1995). Pincus, Steven. "From Butterboxes to Wooden Shoes: The Shift in English Popular Sentiment from Anti-Dutch to Anti-French in the 1670's." The Historical Journal, 38, 2 (1995). Rowen, Herbert H. John De Witt. Cambridge: Cambridge University Press, 1986. Russell, Conrad. Parliaments and English Politics 1621-29. Oxford: Oxford University Press, 1979. Scott, Jonathan. "England's Troubles: Exhuming the Popish Plot," in The Politics of Religion in Restoration England. Tim Harris; Paul Seaward and Mark Goldie, editors. Oxford: Basil Blackwell, 1990. Thackray, Ian. "Zion Undermined: the Protestant Belief in a Popish Plot during the English Interregnum." History Workshop, No. 18 (Autumn 1984). Williams, J. A. "English Catholicism under Charles II: The Legal Position. Recusant History, VII No. 3 (October 1963).